A very kind lady (Sylvia) on DC gave me two grids; one bold and one fine. With the help of Christine Coleman's dvd I have been playing and practising. This is my first piece of work. I sent it to Sylvia as a thank you. 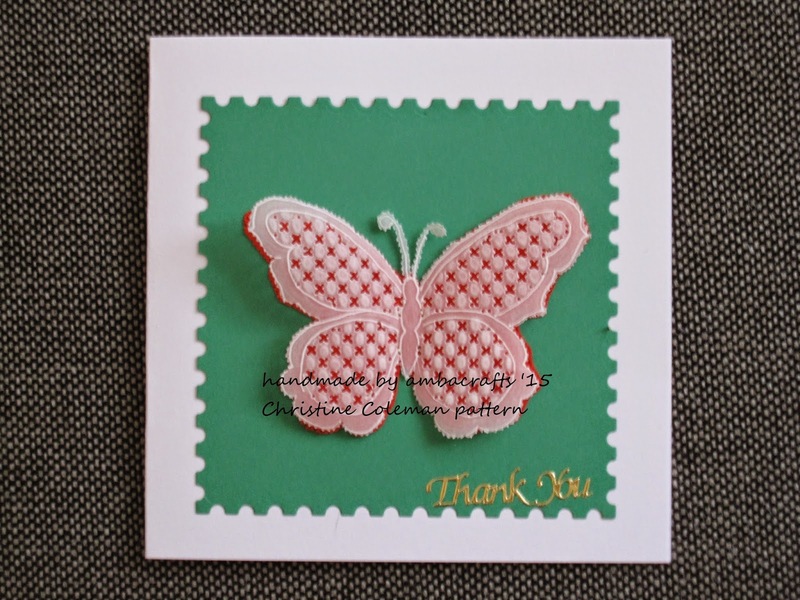 I used the bold grid to make the butterfly, embossed, cut the crosses and then pricked and cut around it and through the red backing card. 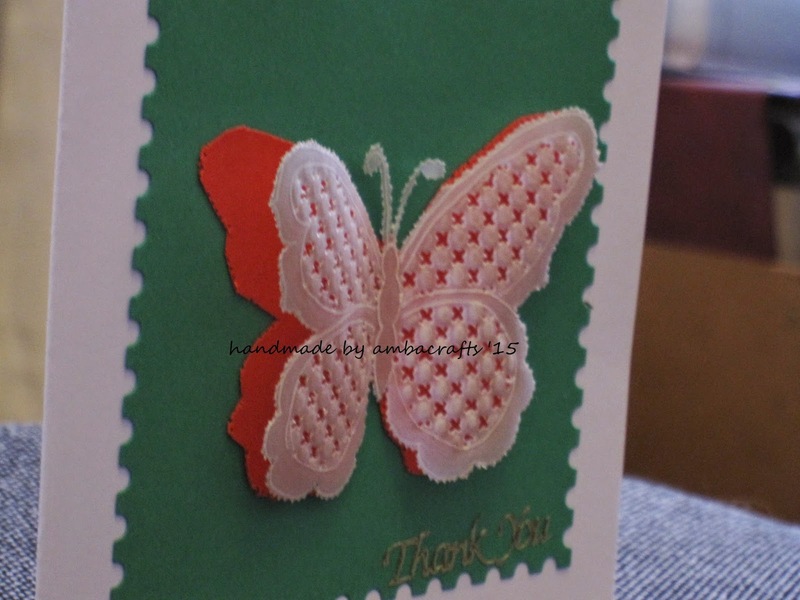 Sewn onto the red card. 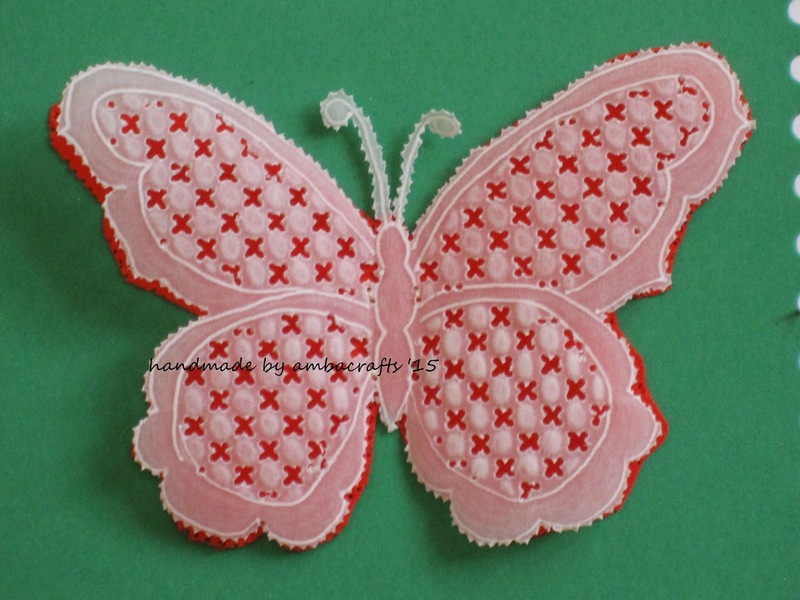 Alison your butterfly is so beautiful, I love it!! That is a stunning butterfly, lovely work. Hello there Alison....another beautiful piece of work, I always think how much patience it must take for parchment craft. This is so beautiful Alison, such delicate work. You should be proud of yourself it is gorgeous. Oh Alison this is just gorgeous, wonderful dimension and detail.